Ha Ha Ha!!! I love it. 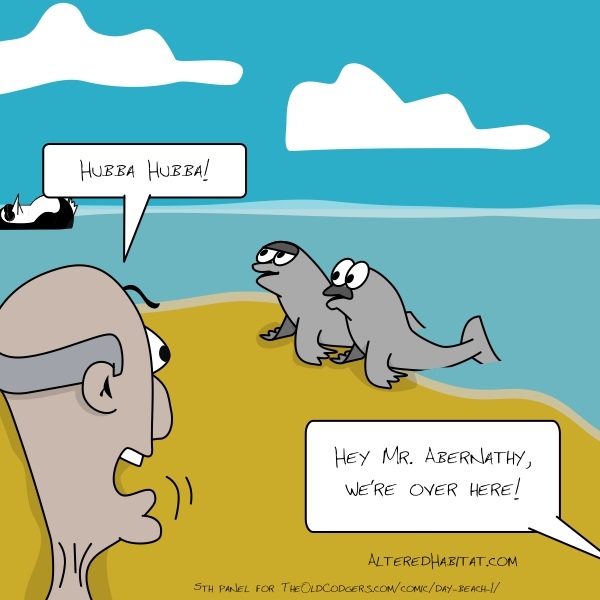 I think Fred Abernathy is experiencing Animal Attraction. And unlike Doris & Maggie trhe seals are NAKED!!! Now that’s HOT!!! Thanks for using one of my characters to do a guest cartoon. I’m honoured & really appreciate it. Love your work. Those are a pretty nice pair.